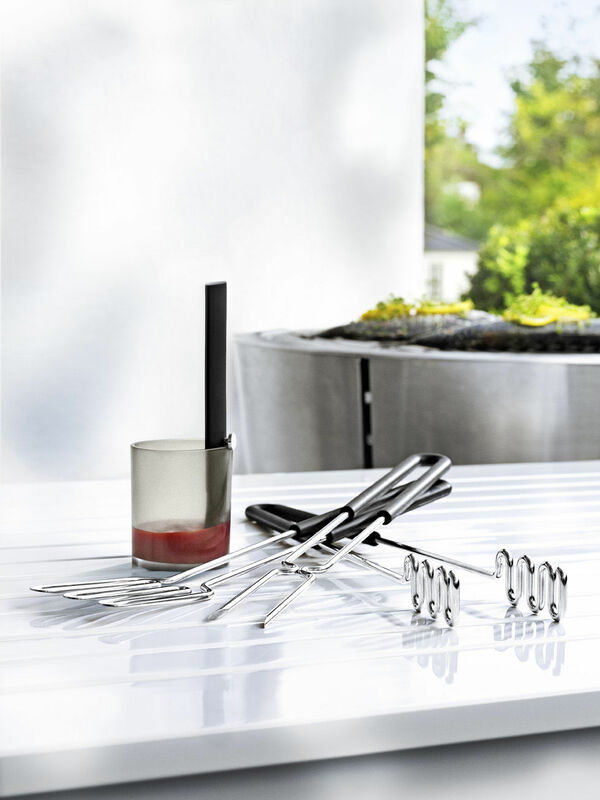 Eva Solo's grill fork is the perfect utensil for managing food on the grill. The fork's tines are perfectly designed for picking up and moving the various foods cooking on the grid. 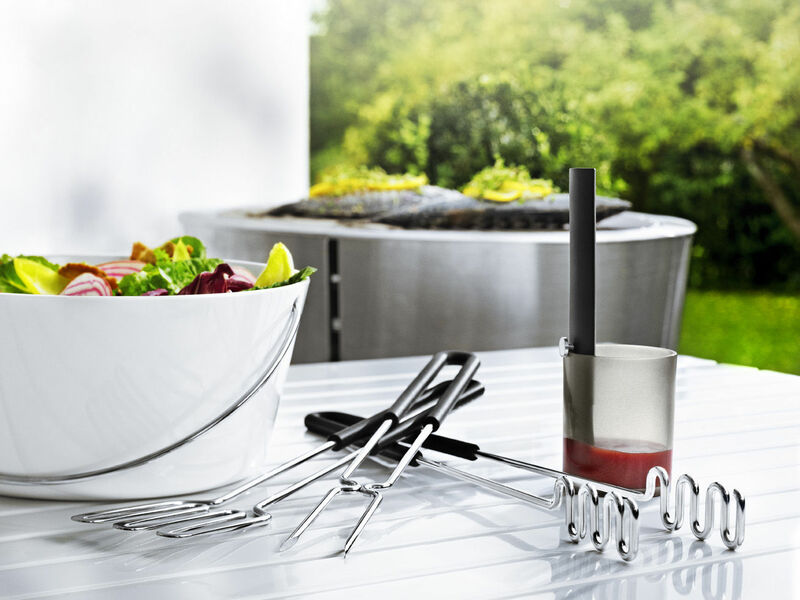 The fork is made of stainless steel with a heat-resistant silicone handle to ensure a good grip while preventing burnt fingers. The fork measures 41 cm in length. Dishwasher-safe.